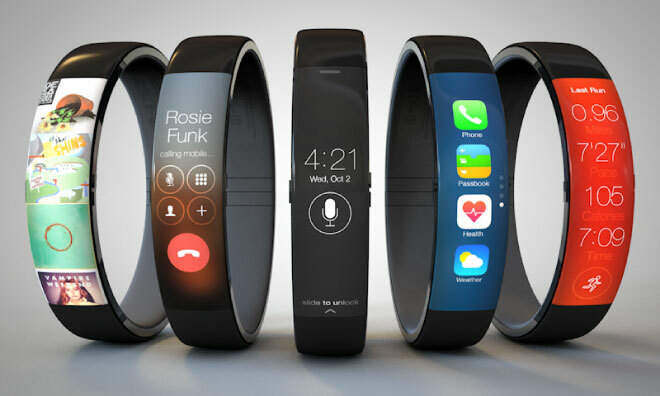 Apple iWatch has been dominating the news lately with its rumors and leaked information for months, As recent reports shown, we would most likely to see this wearable showcased this fall, specifically October for some rumors. But today, we learn more detail on the progress and the production of the iWatch, as well as the device’s size and launching figure, alongside with other details. The source reveals to us that Apple is expected to be shipping about 50 million units of iWatch in the first year selling. That is quiet an ambitious expectation to make profit for such product in the first year, mainly it is because not even all the wearable brands combine added up can go pass 1 million units of smartwatch have been sold. Also, Apple reportedly comes together with the Taiwanese Quanta Computer Inc. to make the wearable, and the production sets to be starting this July. About the product itself, the rectangle display will be 2.5-inch diagonally, and the face will be “[protruding] slightly from the band, creating an arched shape.” The device features a touch interface that will be stand by and ready to use at all time, The wearable also supports wireless charging, which would also makes it the first Apple device to support wireless charging. Another piece of information that we’ve already known is that the watch will be focused on fitness. This report also supports previous rumors of this wearable to be launched this October. But just before you get your hope up, these reports aren’t confirmed yet, and there are still a possibility of Apple release this device later, or even beginning of next year.